Last week I have met a friend which I haven´t seen for a long time, meanwhile, she switched over to a completely Vegan diet which I really admire. She asked me about Vegan alternatives which she can include in her current Kitchen. This conversation has inspired me to create a complete European ingredients based recipe – The Vegan Buddha Bowl “European Edition”. 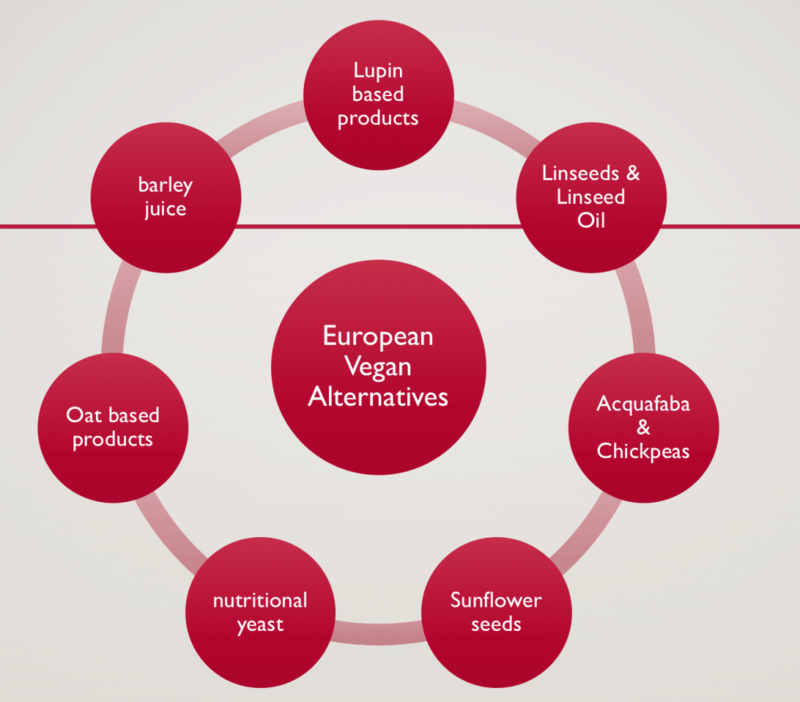 Furthermore, I wrote a small Vegan Ingredients plan on our website, with plants especially from Europe so that Vegan newbies have the chance to find local affordable ingredients for her new way of cooking. The Vegan European Lupin Buddha bowl is an easy and fast to prepare recipe. All the Ingredients can be prepared in advance and stored 1-2 Days so that you can eat twice on it. The perfect on the go Bowl for busy days, especially on these days your body is craving for a full vitamin load to keep on going. With the locally sources Ingredients in this recipe you do best to your body as well as the environment since long distance transports from overseas can be avoided!! The sweet Lupin plant is one of our favourits, Claire has even written a complete article about it which you can read about under this link! A top essential in my Kitchen! Every morning I add 2 Tbsp of Flaxseed oil to my breakfast which helps me to open my filters so that my body can ingest all the vitamins in from my diet. Flaxseeds or Linseeds can be used as a substitute for the trend food chia seeds. I would even say due to the fact that they can be planted locally they are much more sustainable and cheaper as a alternative! Acqua Faba is the perfect substitute for Egg White and has the same volume and fluffy characteristics! It can be used for baking or making a cream out of it. Most of the chickpeas come from Turkey or Ukrain so close to europe and can be bought canned. Out of the Chickpeas there are plenty recipes such as a good hummus or on top of a curry as well as the base for Vegan Burgers. Oats are a very versatile and nutritive part of the diet. Oats are rich in protein, essential fatty acids, minerals and vitamins. Most appreciated oats are for its physiological responses linked with reduction of blood cholesterol levels, reduction of blood glucose rise and gut health. Oats overnight or as a porridge, easy to soak are the perfect breakfast and a healty start in your day. 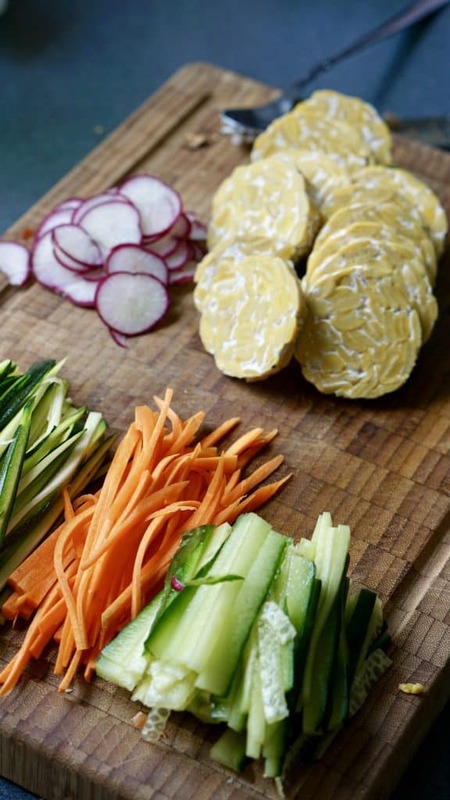 Cut all the vegetables in fin slices, and prepare the Lupin Tempeh (or Soya Tempeh) into 1/2 finger thick slices. 2. Set the rice with water and spices in a medium small pot on the stove and let it cook for 10-15 min. After that leave the lit on the pot and leave on small heat for as long as the rice takes to soak up all the water and get boiled. 3. 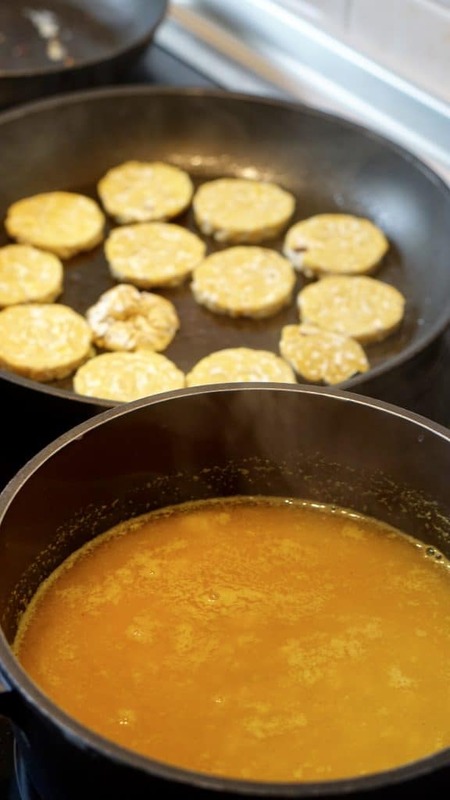 Grill the Tempeh slices on a medium heated pan with coconut or olive oil 3-4 minute. Short before taking them out marinade them in the pan with the soya sauce and set aside. 4. Blanch the Mangold or Baby spinach for 5-10 seconds in boiling salt water and set cold aside. 5. 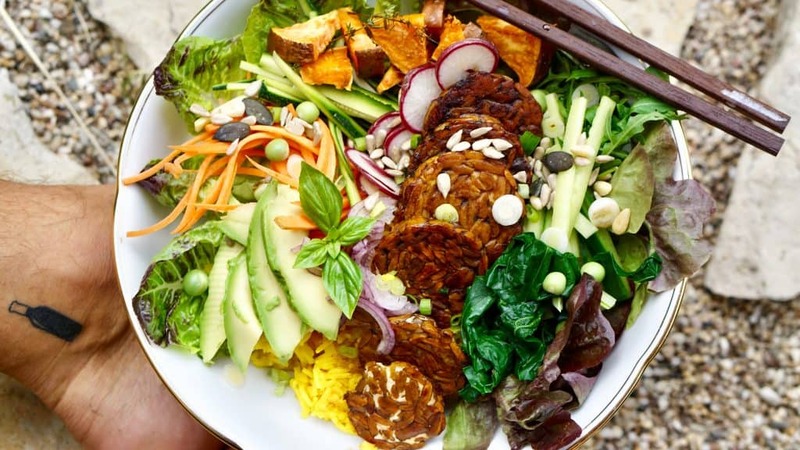 Place the salad leaves as a base into your deep Buddha Bowl and top them with the rice and all the remaining ingredients as can be seen on the picture below. 5. 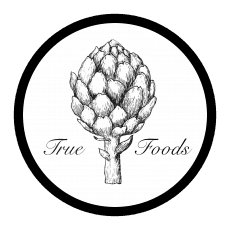 We reccomend the Truefoods Miso Salad Dressing or the European Lemon Honey Mustard dressing. Enjoy it a lot !! You do not have your organic coconut bowl for the perfect buddha bowl yet ? Check out the Handmade Verson with a pair of two under this link.